Young Australians are racking up the highest electricity bills in the country – yet most think they are getting a good deal, Canstar Blue research shows. From a survey of more than 7,600 electricity customers, those aged 18-29 were found to pay an average of $592 a quarter, or $2,368 a year – about a thousand dollars more than their parents and grandparents. 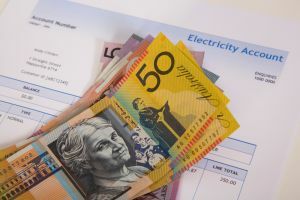 Bill-payers aged 70 or over were found to have the lowest electricity bills at just $338 a quarter, or $1,350 a year, followed by those aged in their 60s at $349 a quarter, $1,395 a year. But despite the huge difference in costs, more than two-thirds of survey respondents aged 18-29 (68%) believe they get a good deal on electricity. This compares to 63% of those aged 70 or over and 60% of those in their 60s. Energy customers in their 40s and 50s are least likely to say they get a good energy deal (52%), the research found. “Young people – especially those who have recently moved into their own place for the first time – clearly have lots of competing priorities, and finding a good energy deal might not be at the top of the list,” said Canstar Blue Editor Simon Downes. 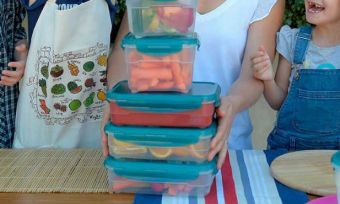 “When you move house, it’s easy to overlook the process of comparing plans and finding the right deal for your needs because you simply want to get the lights turned on. But this short-sighted approach can cost you. The dreaded ‘bill shock’ also appears to be common for young energy customers, with more than half of survey respondents (53%) aged 18-29 admitting they find it difficult to predict their next bill. This compares to about one in three of those aged in their 60s and 70 or over (35%, 34% respectively). So, how can young people keep energy costs down? Make sure everyone living in the house shares the responsibility of paying the power bills. You could even nominate a bank account to which everyone pays a small amount towards energy costs every week or month. Set some basic ground rules around the use of electricity (e.g. turning lights off when you leave a room and using air conditioning in moderation). If you can, sign up to monthly billing to avoid the shock of large quarterly bills. This should make budgeting easier. Depending on when people are home, consider switching to a time of use electricity tariff. Time of use tariffs come with much lower usage rates late at night and early in the morning (off-peak hours). This could work out well if your house is full of night owls. The nationwide survey of 7,651 adults was conducted between October and December 2018. To take part, survey respondents must be responsible for paying the bills at their property.